Similar to the previous two Discovery novels (Desperate Hours by David Mack and Drastic Measures by Dayton Ward), Feat Itself is set prior to the stories we get on screen. In this case, it is four years before the events in “Battle at the Binary Stars,” when Saru and Burnham are both junior officers holding the rank of Lieutenant, vying for the attention and approval of their superior officers and peers. But the friendly competition that we witness between them later on the Shenzhou has not developed yet; Though they can work together to accomplish a goal, they often but heads when it comes to procedure and method. 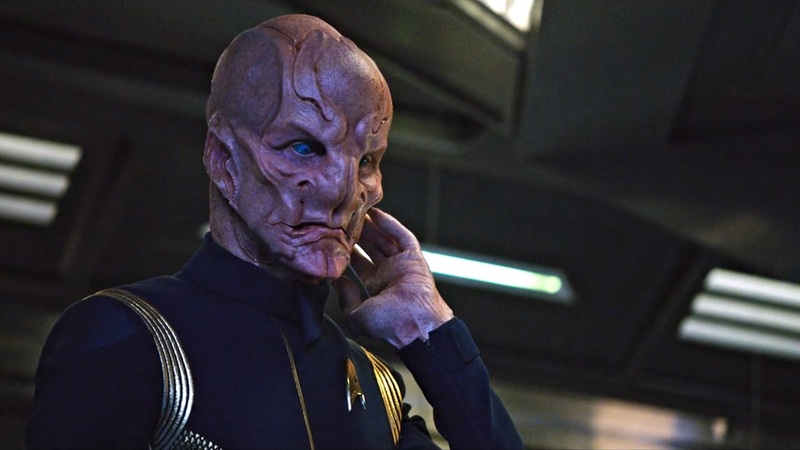 Making matters worse, Saru feels that Captain Georgiou favors Burnham over him, leading him to second-guess himself, go against his instincts, and “push” to prove himself. All of this leads Saru to the middle of a conflict (of his own making, mostly) between the Tholains, Gorlans, and Peliar. This is where the Discovery novels continue to link new characters to old cannon. The Gorlans were briefly mentioned in TOS’s “Mirror, Mirror” and the Peliar are the feuding inhabitants of the Alpha and Beta moons of Peliar Zel II, as seen in TNG’s “The Host.” (of all the TNG episodes to reference…) This story shows us the distinct cultures of all of these alien races, and the different ways that they operate as individuals and communities, while world-building for the Gorlans and providing back story for the conflict among the Peliar. Personally, I was drawn to Saru from the moment we met him on screen. His constant, heightened awareness of his environment is the best analog I have in Star Trek for the king of anxiety I struggle with (and he’s far more realistic than Reg Barclay). 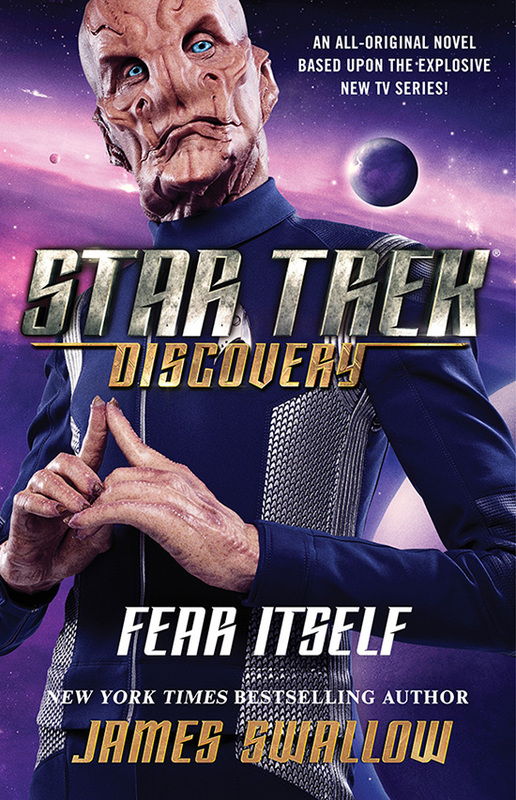 We see Saru grow quite a lot in the first season of DSC, and this novel provides and even longer arc for the character. Throughout Fear Itself, Saru struggles with his idealized expectations of what people and situations should be, rather than adjusting to who and what they are. We see him struggle with the idea of rising in the ranks of Starfleet to command even though his instincts as “prey” will always tell him to flee. We learn about his coping mechanisms, his doubts, and how he learns that something you see as weakness is actually an integral part of you. But what really struck a cord with me was how Saru, while living with a constant base level of fear and apprehension, must find a way to distinguish between real and imagined threats. I feel you, Saru. While the novel does provide some backstory to the Kelpien race as a whole, that’s where I want more. There are some short allusions to Saru leaving his homeworld, and the implication that it’s an unusual story. But I still have questions about Kelpien society: Mostly, can a sentient species attain warp capability (presumably) – or even industrialization – and not be the “dominant” species on the planet? What of the “predators”? Are they also sentient? There’s so much more I want to know! I expect that the hints wouldn’t be there if we weren’t going to find out… eventually. Overall, this was a very enjoyable, fast-paced, and action-packed story that also helped to provide additional backstory for one of our main characters. And I highly recommend picking this up, especially for the Saru fans. But so far, my biggest disappointment with the DSC tie-in novels, as a whole, has nothing to do with their content or quality – we now have three novels all written by white men. I know it’s still early on, but I’d really love to see some women and POC added to this lineup sooner rather than later. “Fear Itself” will be published on June 5, 2018 with an MSRP of $16.00 US. It is available in large format paperback on Amazon, or at your local retailer. Ebook and audiobook formats are also available. ← Episode 86: B’Elanna Torres – B’Lovin’ it!